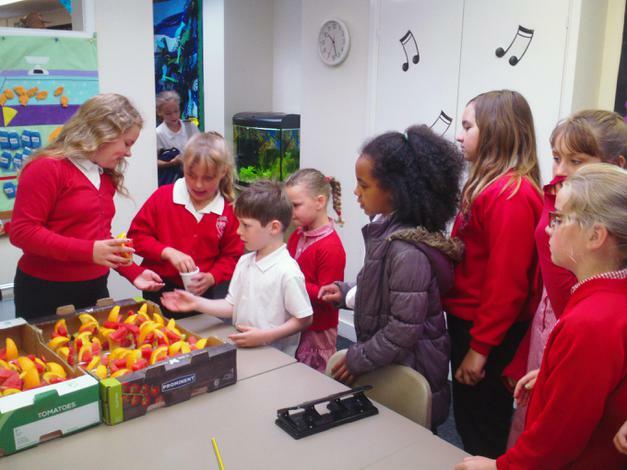 Now, on the next three Fridays we will be serving fresh fruit at break time for twenty pence per pot. 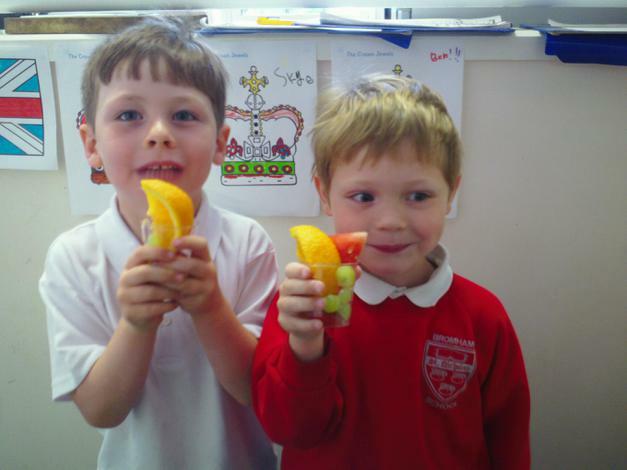 This is to encourage children to try a wide range of fruit and to encourage them to have a healthy snack at breaktime. Remember they we are only allowed fruit or vegetables at breaktime, no sugary snack or high fat snacks like sweets or crisps. As children we should be eating 7 portions of fruit and vegetables everyday - not 5 like adults. This is because our bodies are growing and they need a wide range of vitamins to stay fit and strong. It is also important to eat a range of different colours, different colours usually have different vitamins, so we should try to eat a rainbow of fruit and veg. 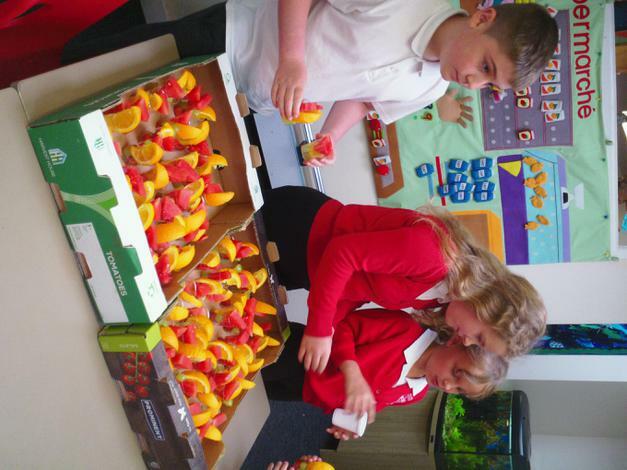 Today was a real success making £9.80 ready to buy our healthy fruit for next week. There will be posters around the school with further info. go on, be brave, try something new. You never know, you might like it!